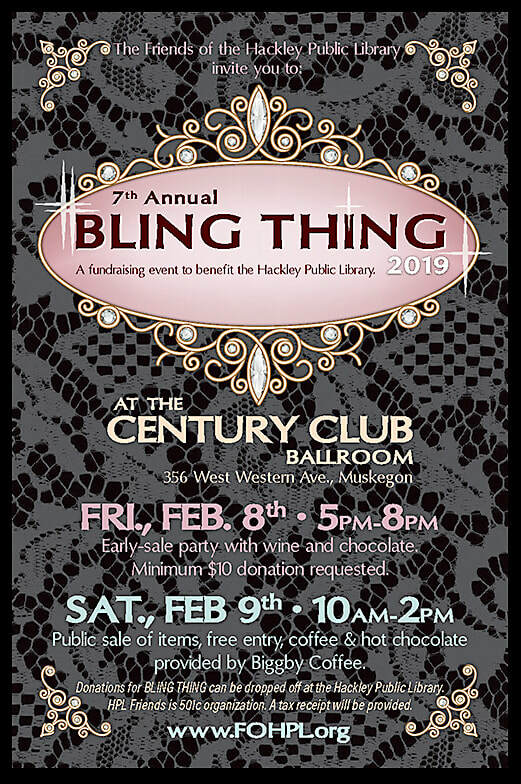 ​This event provides needed funds to support programs and activities of Friends to benefit Hackley Public Library. Drop your donations off at the Library now and we will be happy to provide a tax receipt! Contact us by email at the link below to learn how easy it is to become a 2019 Bling Thing Sponsor! ​ Thank You to our 2018 Bling Thing Sponsors! ​Quigley Draperi​es - 6 year sponsor! ​ Thank you for supporting the businesses that support Hackley Public Library!